wonderful jaunt for a birthday picnic! happy, happy belated, Jennifer! It really was nice. 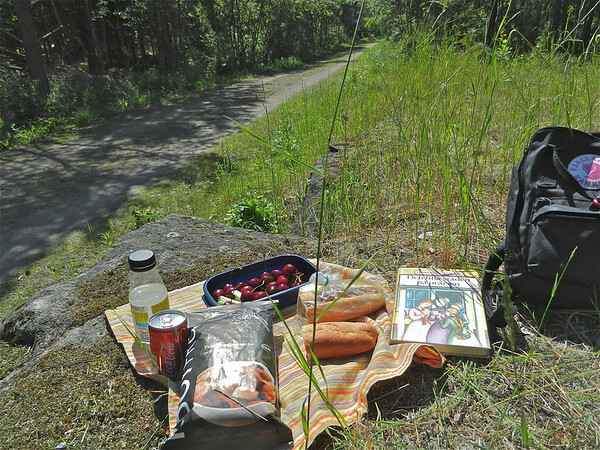 Sunny, warm, tasty picnic food, pretty nature... a good time was had. And so far I'm keeping with my vow that I made on my 40th birthday, which was to try to do something new on each subsequent birthday.